On the occasion of 464th anniversary of the death of Copernicus, we provide below a list of selected references to document the influence of Islamic astronomy, mainly that of the Maragha observatory, on the astronomical and mathematical models described by Copernicus in his ground breaking book published in 1543, and which is commonly believed to have changed the course of history of astronomy and our view of the universe. On occasion of the 464th anniversary of the death of Copernicus. Since the 50s of the 20th century, historians of science endeavored to document the connection between Copernicus and his Islamic predecessors from the 11th century to the 15th century. In this perspective, important and original works were published by Edward S. Kennedy, from the American University of Beirut. Other scholars went along the same path, such as Victor Roberts, who collaborated with Ted Kennedy, and Willy Hartner, who had the chair of history of science in Frankfurt University (the chair occupied by David A. King after that Hartner retired). Since the late 70s, scholars coming from the Arab world and exerting teaching and research in several American universities, continued this research and provided decisive evidence such as the works of George Saliba (Columbia University) and F. Jamil Ragep (Oklahoma Univesity, now in McGill, Montreal). Based on recent manuscript discoveries, these works argue that Islamic science produced astronomical theories of the highest order. These theories were surveyed and their possible ways of transmission were depicted in detail. 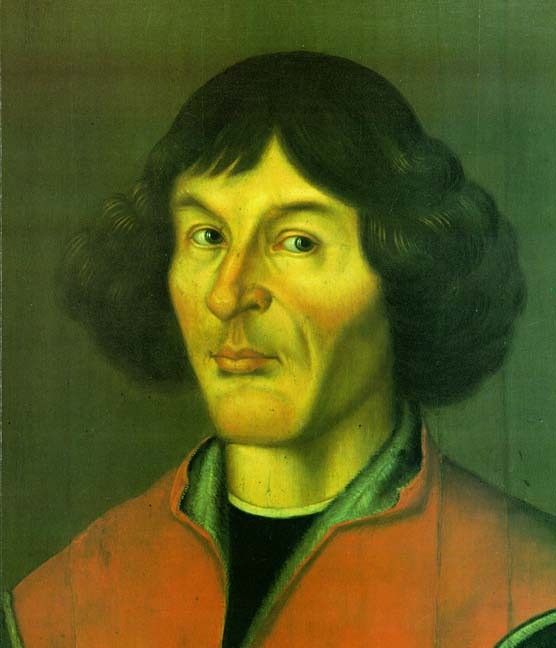 Taken together, the primary texts, and the interpretive essays that highlighted them, have revealed very extensive similarities between the mathematics that was used by Copernicus to develop his theories and the mathematics that was used by mathematical astronomers of the Islamic world some two to three hundred years before. In some instances, as in the case of the model for the motion of the planet Mercury, it was found that Copernicus even made mistakes in his interpretation of the earlier mathematical model that he apparently inherited from the works of the Damascene astronomer Ibn al-Shatir (d. 1375). In other instances he remained faithful to the mathematical formulations that were developed by other astronomers of the Islamic world such as Mu'ayyad al-Din al-'Urdi (d. 1266) and Nasir al-Din al-Tusi (d. 1274). The following set of references is a selection of these ground breaking scholarly works that may be useful for the readers willing to have a glance on first hand scholarship in the history of Islamic astronomy, especially in what regards its influence on Copernicus. Figure 2. Cover page of Al-fikr al-‘ilmial-‘arabi: nash'atuhu wa tatawwuruhu (The scientific Arabic thought: its genesis and its development) by George Saliba (Balamand, 1998). Di Bono, Mario 1995. "Copernicus, Amico, Fracastoro and Tusi's Device: Observations on the Use and Transmission of a Model." Journal for the History of Astronomy vol. 26: pp. 133-154. Hartner, Willy 1975. "The Islamic Astronomical Background to Nicholas Copernicus." Ossolineum, Colloquia Copernica III, Nadbitka, 7-16. Reprinted in W. Hartner, Oriens-Occidens: Ausgewählte Schriften zur Wissenschafts- und Kulturgeschichte Festschrift zum 60. Geburtstag. 2 vols. Hildesheim: Olms, 1968-84, pp. 316-325. Hartner, W. 1974. "Ptolemy, Azarquiel, Ibn Al-Shatir, and Copernicus on Mercury. A Study of Parameters." Archives internationales d'histoire des sciences vol. 24: pp. 5-25. Kennedy, Edward S. 1966. "Late Medieval Planetary Theory." Isis vol. 57: pp. 365-378. Kennedy, Edward S. and Ghanem, Imad 1976. The Life and Work of Ibn al-Shatir, an Arab Astronomer of the Fourteenth Century. Aleppo: History of Arabic Science Institute, University of Aleppo. Ragep, F. J. 1987. "The Two Versions of the Tusi Couple." In 1987. From Deferent to Equant. A Volume of Studies on the History of Science in the Ancient and Medieval Near East in Honor of E.S. Kennedy. Edited by D. A.King and George Saliba. New York: New York Academy of Science, pp. 329-356. Ragep, F. J. 1993. Nasir al-Din al-Tusi's Memoir on Astronomy ‘al-Tadhkira fi ‘ilm al-hay'a'. 2 vols. Berlin: Springer Verlag. (Critical edition, with English translation and commentaries, of a major text of Arabic theoretical astronomy. Reviewed by E.S. Kennedy in Journal for the History of Astronomy vol. 25(1994): pp. 321-324 and by David Pingree in Isis vol 86(1995): pp. 313-314). Ragep, F. J. 2001. "Tusi and Copernicus: The Earth's Motion in Context." Science in Context vol. 14-n° 1-2: pp. 145-153. Ragep, F. J. 2005. "‘Ali Qushji and Regiomontanus: Eccentric Transformations and Copernican Revolutions." Journal for the History of Astronomy vol. 36: pp. 359-371. Ragep, F. J. 2007. "Copernicus and his Islamic Predecessors: Some historical Remarks." History of Science vol. 45-n° 1: pp. 65-81. Roberts, Victor 1957. "The Solar and Lunar Theory of Ibn al-Shatir: A Pre-Copernican Copernican Model." Isis vol. 48: pp. 428-432. Roberts, V. 1966. "The Planetary Theory of Ibn ash-Shatir: Latitudes of the Planets." Isis vol. 57: pp. 208-219. Saliba, George 1979. "The First Non-Ptolemaic Astronomy at the Maraghah School." Isis vol. 70: pp. 571-576. Saliba, G. 1979. "The Original Source of Qutb al-Din al-Shirazi's Planetary Model." Journal for the History of Arabic Science vol. 3: pp. 3-18. Saliba, G. 1984. "Arabic Astronomy and Copernicus." Zeitschrift für Geschichte der Arabisch-Islamisch Wissenschaften vol. 1: pp. 73-87. Saliba, G. 1985. "Solar Observations at the Maraghah Observatory before 1275: A New Set of Parameters." Journal for the History of Astronomy vol. 16: pp. 113-122. Saliba, G. 1986. "The Determination of New Planetary Parameters at the Maragha Observatory." Centaurus vol. 29: pp. 249-271. Saliba, G. 1987. "The Role of Maragha in the Development of Islamic Astronomy: A Scientific Revolution before the Renaissance." Revue de Synthèse vol. 108: pp. 361-373. Saliba, G. 1987. "Theory and Observation in Islamic Astronomy: The Work of Ibn al-Shatir of Damascus." Journal for the History of Astronomy vol. 18: pp. 35-43. Saliba, G. 1990. Tarikh ‘ilm al-falak al-‘arabi: Kitab al-hay'a li-Mu'ayyid al-Din al-‘Urdhi. Beirut: Center for Arab Unity Studies. (Critical edition, with English introduction (70 pp. ), of the Arabic text (pp. 25-404)). Reprinted in 1994. Reviewed by Ahmad Dallal in: "Travaux récents en histoire de l'astronomie arabe." Arabic Science and Philosophy vol. 7 (1997): pp. 283-297. Saliba, G. 1991. "The Astronomical Tradition of Maragha: A Historical Survey and Prospects for Future Research." Arabic Science and Philosophy vol. 1: pp. 67-99. Saliba, G. 1994. "Early Arabic Critique of Ptolemaic Cosmology: A Ninth-Century Text on the Motion of the Celestial Spheres." Journal for the History of Astronomy vol. 25: pp. 115-141. Saliba, G. 1994. "A Sixteenth-Century Arabic Critique of Ptolemaic Astronomy: The Work of Shams al-Din al-Khafri." Journal for the History of Astronomy vol. 25: pp. 15-38. G. Saliba 1996. "Arabic Planetary Theories after the 11th century." Encyclopedia of the History of Arabic Science. Edited by Roshdi Rashed with the collaboration of Régis Morelon. 3 vols. London/New York: Routledge, vol. 1, pp. 58-127. Saliba, G. 1994. A History of Arabic Astronomy: Planetary Theories During the Golden Age of Islam. New York/London: New York University Press. Saliba, G. 1998. Al-fikr al-‘ilmi al-‘arabi: nash'atuhu wa tatawwuruhu (The scientific Arabic thought: its genesis and its development) [in Arabic]. Balamand (Northern Lebanon): Balamand University, Center of Christian and Islamic Studies. Saliba, G. 1999. Rethinking the Roots of Modern Science: Arabic Manuscripts in European Libraries. Washington: Center for Contemporary Arab Studies, Georgetown University. Saliba, G. 2000. "Whose Science is Arabic Science in Renaissance Europe?" Online at: http://www.columbia.edu/~gas1/project/visions/case1/sci.1.html and http://www.columbia.edu/%7Egas1/project/visions/case1/sci.1.html. Saliba, G. 2000. "Objections to Greek Astronomy in Islamic Times and their Relationship to the Work of Copernicus." History of Physics Newsletter vol. 3-n°1: pp. 7-8. Saliba, G. 2002. "Greek Astronomy and the Medieval Arabic Tradition," in American Scientist vol. 90-n° 4: pp. 360-36 (to be published online with the permission of the publisher on www.muslimheritage.com: forthcoming). Saliba, G. 2000. "Mediterranean Crossings: Islamic Science in Renaissance Europe." Horizons vol. 1: pp. 46-63 ( Chinese version).